Steiner Germany was founded by Karl Steiner in 1947 to build functional, sturdy and flawless optical instruments. Its products are German-engineered, incorporating latest optics technology, and bring on board first-class gun-mounted optics for global law enforcement and military personnel throughout the world. 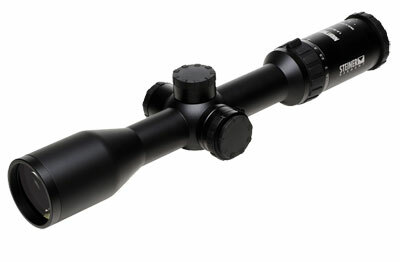 Steiner Optics is also suitable for use by sportsmen, birders, mariners, aviators, explorers, et al. Steiner optics is characterized by world-class lenses, coatings and prisms, each uniquely crafted to suit specific purposes. The lenses are ground and polished in house withstanding 460 exacting steps, and the finished products undergo rigorous testing, inspection and approval to ignore abuse, offer viewing comfort, and promote accurate and satisfying viewing experience. All Steiner Optics are fogproof, waterproof and shockproof. 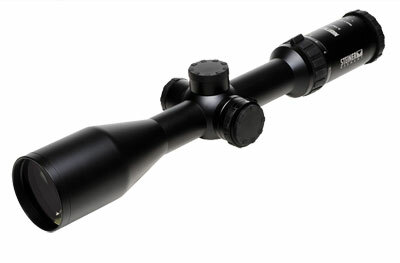 The lineup consists of Steiner Rifle Scopes, Steiner Binoculars, Steiner Red Dot Sights, Steiner Lights/ Laser Devices and Steiner Accessories. Steiner Germany Demo products and Steiner Discontinued items are also available. Furthermore, the range is divided into military series to deliver in critical situations, hunting series to perform in any hunting condition and tactical series to satiate target sport shooting and challenging professional situations. Manufacturer of the most combat-hardened optics, world-class lenses, coatings and prisms. Produces virtually indestructible laser aiming devices along with tactical flashlights for military and law enforcement personnel. Can be used by sportsmen and spectators, birders and mariners, aviators and explorers, and deployed by security and military forces. Can be used to view objects like wildlife, marine bearing, law enforcement suspect or military combatant. First to develop the lightweight, indestructible rubber-armored Makrolon housing, all-conditions nitrogen-charged fogproofing, military laser protection filter, integrated binocular/compass, water-repellant Nano-Protection lenses, and coating technologies that render maximum contrast and light-transmission. Leading innovator in optoelectronics offering fast and precise detection, location and identification of a distant objective.